Friends share a deep appreciation for the natural world and are committed to preserving it for future generations. Established in 1962, Friends of the Arboretum (FOA) is a nonprofit organization that supports the UW–Madison Arboretum’s work and mission. Being a Friend of the Arboretum demonstrates a commitment to the principles and practice of ecological restoration. Friends’ contributions support Arboretum community education, volunteer programs, land care projects, and research. FOA operational costs are supported through FOA fundraising events. The strength of the Friends lies in its participants’ willingness to support the Arboretum with time, talent, and financial contributions. To support the Friends, visit the Be a Friend page. 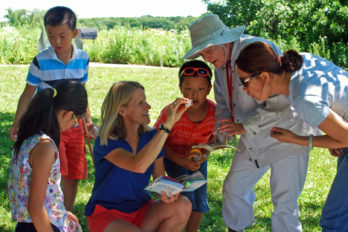 The Friends of the Arboretum enhances the University of Wisconsin–Madison Arboretum’s capability to accomplish its research, education, and outreach by providing volunteer and financial support, inspiring people to reconnect with nature. The Friends of the Arboretum builds positive relationships between people and the land through support of the UW–Madison Arboretum.